Below we talk about why we started Peckamix and how we strive to provide you and your garden birds with only the highest possible quality wild bird foods and accessories. 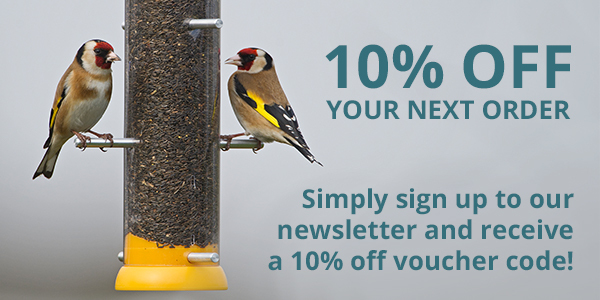 Peckamix isn’t just another company selling the same old wild bird food, we are unique, offering only high quality products and mixes, and providing you with the opportunity to create your very own seed mix to suit the wild birds in your area. What started as an interest in garden birds soon turned into an idea! As with our own human food when you take a closer look at the ingredients you will find most wild bird seed mixes contain unnecessary ingredients. So, on our hunt for a good quality seed mix that would provide our garden birds with high levels of nutrition containing only favourable ingredients, we quickly realised very few products didn’t contain wheat or penny pinching fillers. Also, on further research we found that ground feeding birds have different preferences to hanging tube feeding birds. So, again we looked into other brands of wild bird foods for products to suit different feeding styles and found a lot of mixes were targeting all feeding styles in one, this means a lot of seeds are wasted and the different seed preferences of each species of bird are ignored. Once we had learnt this our idea bloomed… What if we could produce a selection of high quality seed mixes tailored to different feeding styles?! With some further research into each species of bird and their feeding habits we started to mix our own mixes, it was quickly apparent that the wild birds loved the new food! We started to see new species of wild birds visiting our garden that we hadn’t seen before when we fed standard seed mixes. Now the Blackbirds and Robins wait for us every morning for their specially tailored ground mix that they love and nothing goes to waste! We then developed our mix your own service to allow other bird enthusiasts a way of creating their very own mix without the need to buy and store every straight ingredient. This service is simple and hassle free, and allows you to tailor your own mix to suit the birds in your area. Cheaper alternative seed mixes seem economic, but in reality most of the food will be wasted and what is eaten offers minimal nutritional benefit. We pride ourselves on our hand mixed in the UK wild bird seed mixes, none of them contain wheat, filler seeds, or unnecessary ingredients; no split peas, no broken dog biscuits or other poor quality low nutrition ingredients, so you can sure every single one of our products will provide great nutrition for your garden birds. All our accessories and gifts are great quality and we are confident you will love them as much as we do! We are always looking for new products to expand our range, and we are constantly adding helpful articles to our advice page, so make sure you join our newsletter and like us on Facebook to stay up to date! Peckamix is an honest company, with helpful friendly customer service so please don’t hesitate to get in contact if you have any questions about any of our products, or if you need any further advice. We aim to get all orders processed and dispatched as quickly as possible for your satisfaction. Here at Peckamix we have the best interests of your wild birds at the top of our priorities, we are proud suppliers of simple straight forward quality bird foods. We hope you enjoy shopping with us!